Filed under: Book of the Month. Our June Book of the Month: The Secret (2016). 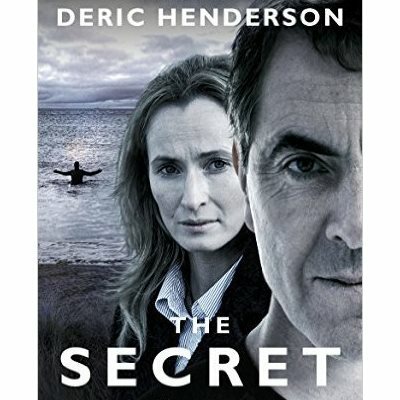 Originally published as Let This Be Our Secret (2011), it has just been republished as a media tie-in to the ITV drama starring James Nesbitt and Genevieve O'Reilly. The time: 1990s until 2011. The place: Coleraine, Northern Ireland. The central characters: Colin Howell, Hazel Buchanan. The story: Colin Howell - a dentist and supposedly devout Baptist, a born-again Christian - hatches a plan with his secret lover Hazel Buchanan - a nursery school teacher and fellow parishioner - to murder their two spouses, Lesley and Trevor, an RUC officer. After the double murder, Howell stages it elaborately to look like a suicide pact. The crimes go undetected for almost two decades, until Howell's life implodes and his guilty conscience gets the better of him. Why we liked: many readers will have been drawn to the book after seeing ITV's outstanding four-part drama last month. 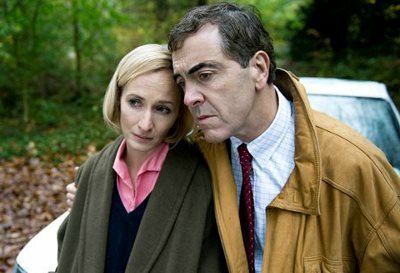 James Nesbitt's creepy portrayal of Howell was a performance of a lifetime. Deric Henderson's book inspired the TV drama, but it explains the motives behind the murders in far more detail. It also gives a good understanding of the religious background and brings readers inside the local community in Coleraine. Henderson covered Stewart’s murder trial and conducted some fifty separate interviews for the book. His account throughout remains detached and never sensational. This is not a whodunnit - the book opens with Howell about to surrender to the police - but is a gripping read all the same. It's a superb insight into the mind of a callous, narcissistic, manipulative killer. Anything we didn't like? The first half of the book could have skipped some background detail, and later on there could have been more on Howell's confession and how the RUC overlooked so many clues in the original investigation.